The second in my series of 'Ladies In My Line' is my paternal grandmother, Louise Charlotte Albers Niehaus. Her life was cut short at the age of 25 when she succumbed to pneumonia at the end of the flu pandemic in February, 1919. She was born to Charles and Martha (Marsischky) Albers in Indianapolis, Indiana on the 11th of August, 1893, the second born of five children in the Albers family. Louise's story includes marriage and four children. My father, Frank Julius Niehaus, was her third child. Louise was robbed of a lifetime of enjoying her family. But there are several of us still carrying her genes. In fact, Louise's eldest child, Charlotte Niehaus Baxter, passed away just a few months ago, only three weeks before her 100th birthday. 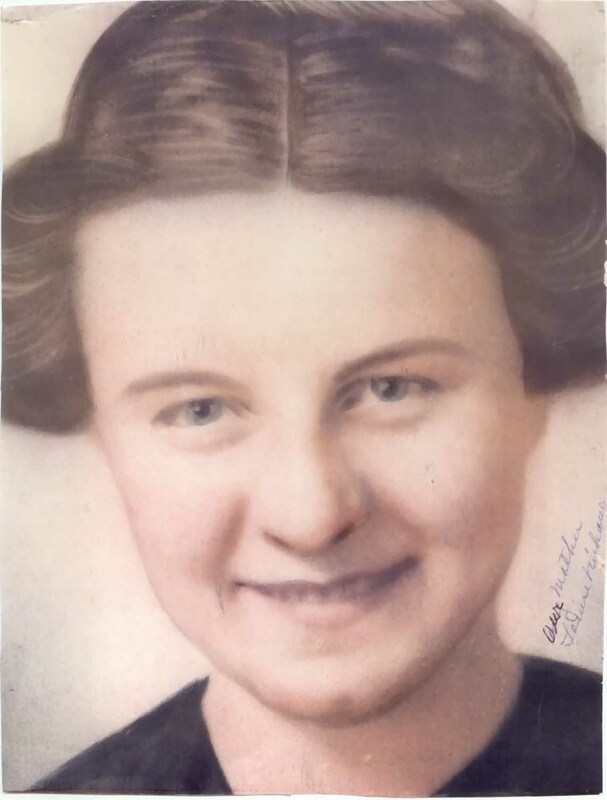 Our family would be happy to connect with Louise's collateral lines and to share the family history that we have together. If you are there, let us know. My email is nancyhurley1 at gmail dot com. Hello cousins. Louise (Albers) Niehaus was my grandmother. I would like to have known her for at least a short time. She and her eight-month-old son, Walter, died in the Influenza Pandemic of 1918 that killed 50 million people worldwide. Louise was 25 years old at the time of her death in February of 1919, during the third and final wave of the epidemic. This particular flu virus attacked more of the under 30 population than other strains; perhaps because they were not immune, having been born after the last epidemic in 1890. No one can say conclusively the scientific reason that so many young people were taken down by this killer, including thousands of the soldiers serving during WWI. What a tragedy for this young family. My father, Frank Niehaus, was three years old when his mother died. He had an older sister and brother, Charlotte and Robert, and his baby brother, Walter. Louise was 25 years, 6 months and 14 days old when the effects of the flu, pneumonia, took her life. According to a family story, Baby Walter, who died three days after his mother, was buried in her arms. Louise Charlotte Albers was born in Indianapolis, Indiana, on August 11,1893. Her parents, Martha Marsischky and Charles Albers both came to the United States from Germany as children in the early 1880s. There families left their homeland, probably due to lack of opportunities and other hardships being experienced by many Germans during the 1880s. By making the long journey across the ocean to America they could seek out better living conditions and have a more optimistic outlook for their children. I don't know much about the circumstances of Louise's parents young lives yet, except that they were married in Indianapolis in 1892. 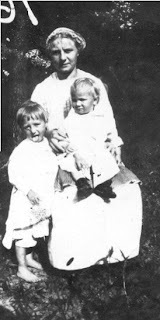 Louise was born to Martha and Charles in August of 1893, after an older brother whose name is unknown. She had three younger siblings, her brothers Julius and William and a sister, Clara. Records indicate that the family was Lutheran. They lived on the south side of Indianapolis, her father working as a salesman at a hardware store and as a laborer. Although pieces of Louise's life are still coming together, we do know that in 1910, at sixteen years of age, she was employed at the C. B. Cones Overall Manufacturing Company as a presser. A young man named John Niehaus also worked at C. B. Cones, as a cutter, at this time. They both traveled short distances from their homes to their workplace in downtown Indianapolis at 24 North Senate Avenue. They must have worked closely enough to become acquainted and start a courtship. Their marriage application indicates that John lived at 2635 South Illinois and Louise at 635 South Alabama, with her parents. They would probably have traveled by electric streetcar to visit each other. When Louise was 18 and John 22, they married on August 23, 1911, in the Niehaus family church, Sacred Heart Catholic Church on South Union Street in Indianapolis. Louise's uncle, Charles Marsischky, and John’s sister, Minnie Niehaus, were their witnesses. Louise became a mother for the first time at the age of 19 when Charlotte arrived in 1912. In 7 ½ years of marriage she also gave birth to Robert in 1914, Frank in 1916 and Walter in 1918. Perhaps if Louise was somewhat weakened from childbirth, she could have become more vulnerable to the flu virus. And she may have passed the virus to her baby. There's no way of knowing why it happened, but both Louise and Walter were stricken and died in Feb, 1919. Louise and Walter are buried together at Crown Hill Cemetery in Indianapolis, the same cemetery as her parents and her brother, William. This photograph to the left is of Louise with Charlotte and Robert, her first two children. Louise would be approximately 22. Aunt Charlotte told me that she remembered her mother being a very loving lady. This remembrance was first written for the Niehaus Reunion in 2001 that took place on August 11, Louise's birthday. 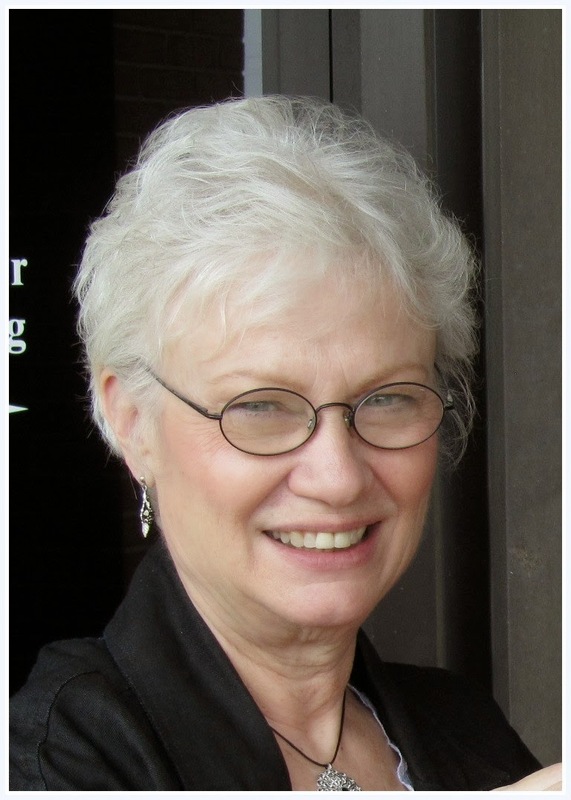 My sister, Linda Sue Niehaus May, shares the August 11 birthday. We are glad to have that family significance. Hopefully, although Louise’s life was ended much too soon, she had much happiness. She is living today through her numerous descendants.